Transcription: Hi, my name is Rebekah Grafton, I’m an immigration attorney at Fay and Grafton in Raleigh, North Carolina and I’m a certified specialist in immigration law in North Carolina. 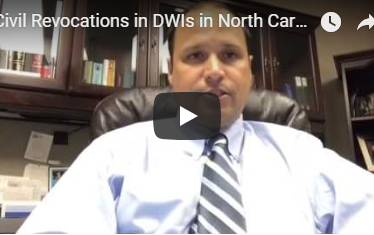 I am outside of the USCIS office here in Durham, North Carolina, Roycroft Drive, getting ready for an interview for a client and I thought now would be a good time to talk to you a little bit about what you can expect your USCIS interview. Of course, it all depends on what kind of case we’re here for. Usually what we’re here for interviews for our naturalization cases, adjustment of status cases so folks who came in on a visitor’s visa or came in some other way and are now applying for their green card based on a visa petition that was filed or sometimes it’s a visa petition for someone who’s already been removed or has a removal order and is now married to a citizen and we can try to resolve that. So the substance of your interview is really going to be dependent on what kind of case it is, but usually what happens, at least here in the Durham office is we ask you to try to be here about 30 minutes before your interview and they usually get everybody lined up about 15 minutes before their interview to get you checked in. On the second floor of the building is where we wait for your interview to be called and the officer will come to get us when they’re ready for you. The officers usually are reviewing your case for 10 to 15 minutes before they call you back for interviews. So that’s why it’s really important when we prepare your case that we make sure that we let them see that snapshot of your case, your family so that they feel good about your case before they call you back for your interview. There’s a lot of various things that we do to kind of set you apart. I try to make it not so much paper and a little bit more of your story. In a naturalization case, they are doing your tests. You do have to take the English test and civics test. The English test is you have to read a sentence and write a sentence and the civics test is a verbal question. The 100 questions are available online and they’ll ask you 10 of them and you have to get 6 right. Other than that, they’re going through your application and they are making sure that you’ve got your lawful permanent residents lawfully and that there were no problems with that. So we do want to make sure we’re very thorough before we file those cases. On your adjustment of status, they’re usually looking at making sure that visa petition is approvable, that if it’s a marriage based case, that it’s a bonafide marriage, that everyone entered into it for the right reason, or if it’s a family-based case, making sure that we’ve successfully established that family relationship, or if it’s an employer-based case that that employment relationship still is established. Everybody here at the Durham field office is usually pretty friendly, but of course, we do recommend you have an attorney present because some complicated issues can come up at the time. If you have an interview coming up and you want to talk to us about going with you, you can go to our website at faygrafton.com and schedule a consultation. We’ll want to see a copy of everything that you filed and we always attend interviews with our clients because I do think it’s best to have representation during these cases. If you have any questions, you can reach out to us at faygrafton.com or give us a call. Thanks. 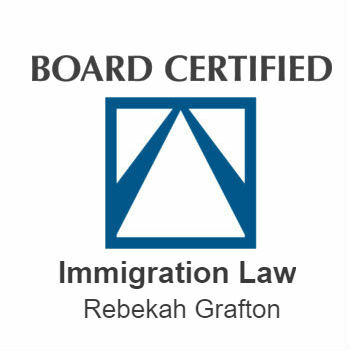 Attorney Rebekah Grafton has been certified as a North Carolina Immigration Law Specialist by the NC Bar Association. 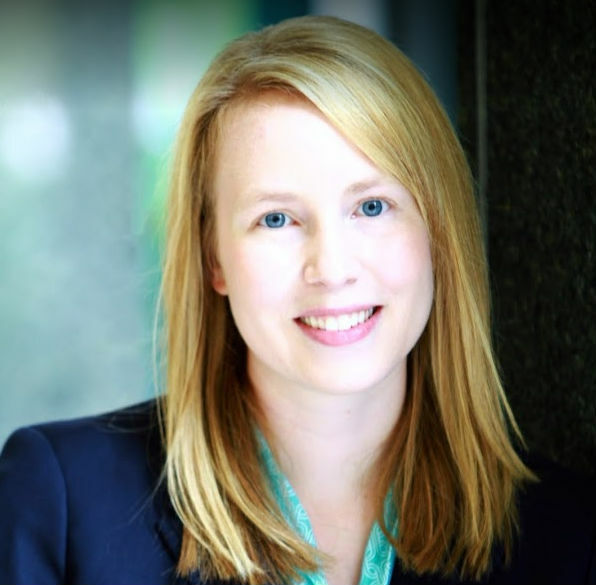 This means Attorney Grafton has met all of the certification requirements and was certified by the North Carolina State Bar Board of Legal Specialization on November 19, 2018. 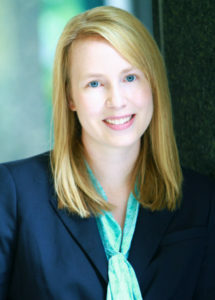 The entire team at Fay & Grafton is proud of Attorney Grafton’s accomplishments and congratulates her on her success. For more information, please visit the NC Specialists website here. If you have been suspected and caught with driving under the influence, watch this video to learn more about what happens next. 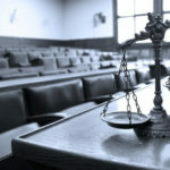 Attorney William Fay explains what to do immediately after being arrested for suspicion of drunk driving, DWI, or BUI and what driving privileges you may have and which ones get immediately revoked, as well as exactly how to proceed with paperwork and court appearances to get your license reinstated quickly. TRANSCRIPT – I’m sorry to hear you picked up a DWI, here are some of the things you need to know, before you do anything else. Your license is likely revoked at this point for 30 days, that’s true if you refused or blew a 0.08 or higher. If you blew a 0.07 or lower, or your case is a blood case, then you might not have a civil revocation. But let’s assume that you do and your license is revoked. After 10 days, you are eligible for a limited driving privilege. On the 9th day, you need to file a form called a petition for limited driving privilege. That form is AOCCVR-9. You can find it on the state’s administrative office website. You need to fill 3 copies of that form out and file it with the clerk. On the 10th day, you come with your privilege, that’s form AOVCVR-10, again you’ll need 3 copies of that. In order to be eligible for a privilege, you have to have signed up for a substance abuse assessment, have enrolled in the recommended treatment, you need to have a DL-123, which is form you get from your insurance agent showing that you have liability insurance. You need to have a copy of your driving record here in North Carolina (or if you are licnesed in another state a copy of your driving record there), and you need to have 100 dollars. If you work outside the hours of Monday-Friday 6 am – 8 pm, and you need driving privilege that reflects those additional hours, then you need to have a letter on your work’s letterhead (or if you work for yourself you can do it on your own letterhead), something that justifies your need to expand your limited driving privilege from Monday-Friday 6 am – 8 pm to whatever it is you need to expand it for. There are certain jobs that you’ll need it expanded to 24 hours a day, 7 days a week, and that’s possible with that kind of documentation. First thing you should be doing is looking at assessment agencies, there are a multitude here in Wake county. The assessment itself cost 100 dollars. The assessment agency will need to see your test ticket, which is a small rectangular piece of paper you were given that shows what you blew on the ECIR-2, if applicable. They’ll want to see a copy of your citation and they’ll want to see your driving record as well. Most of these assessing agencies can pull your driving record for you, but they’ll charge an $8-$15 fee to do so. Again, after you take your assessment, they’ll then recommend some course of treatment. The minimum they’ll recommend is what’s called a 16 hour ADETS course, and there really is no statutory maximum they might recommend. They might recommend you go into in-patient treatment, or that you take 90 hours of intensive alcohol classes, or anything in between. Whatever it is they recommend, if you want to be eligible for the limited driving privilege, then you would need to have agreed with their assessment and enrolled in those classes. These are classes where, if you are convicted of DWI, you are going to have to do anyway, so you may as well get them done on the front end. If your case is try-able, and you think you have a decent chance of winning, then you can do the assessment and apply for the classes. Then after you talk to an attorney, your attorney says hey listen, let’s hold off on those until after we see what happens with your trial or after I’ve investigated your case a little further, you can certainly do that. Those are things you need to do to be licensed or at least get a limited driving privilege for the 11th – 30th day of your civil revocation. Again, on the 30th day, you pay 100 additional dollars to the court and you get your license back with no restrictions. In addition to that, you can contest the covil revocation if you want to, although I really wouldn’t recommend doing that on your own, that’s the kind of thing you want to hire an attorney for. You file paperwork with the clerk and they will set a hearing in DWI court as quickly as possible. That hearing isn’t so much whether you’re guilt of DWI, it’s whether the state has established grounds sufficient to have a civil revocation logged against you. And, again, I advise you to lawyer up for that. Really, for any of thee kinds of things, if you are going to get a lawyer for DWI, it makes sense to go ahead and get one early so your lawyer can do all the work for you on the limited driving privileges. They are not the kinds of things where you would have to come to court, your lawyer can do these things and you can pick them up in your lawyer’s office or your lawyer can get them to you one way or the other. It’s one of those things that adds value for your attorney to do rather than you trying to do them yourself. Again, I’m sorry you got a DWI but these are some first steps you should consider. Attorney Ana Nuñez was recently interviewed by North Carolina public radio station WUNC 91.5 in a piece called ‘From Havana To The Triangle: Meet Ana Nuñez‘. To read or listen to the entire interview, check out WUNC’s page here.